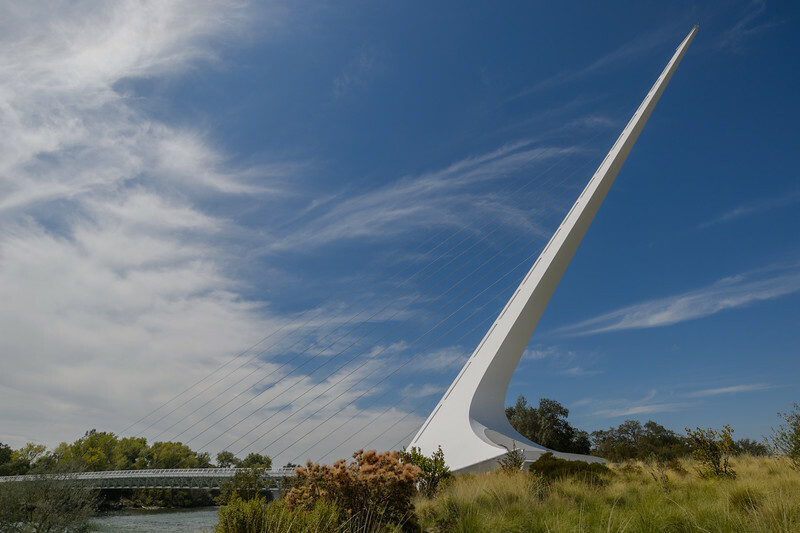 The awesome Santiago Calatrava designed Sundial Bridge in Redding, CA. Redding has 91,000 or so people. Los Angeles has nearly four million. One of them has a Calatrava bridge over the big river in town. And one of them doesn't. Then again, one of them (guess which) has a nice river for the bridge to go over. 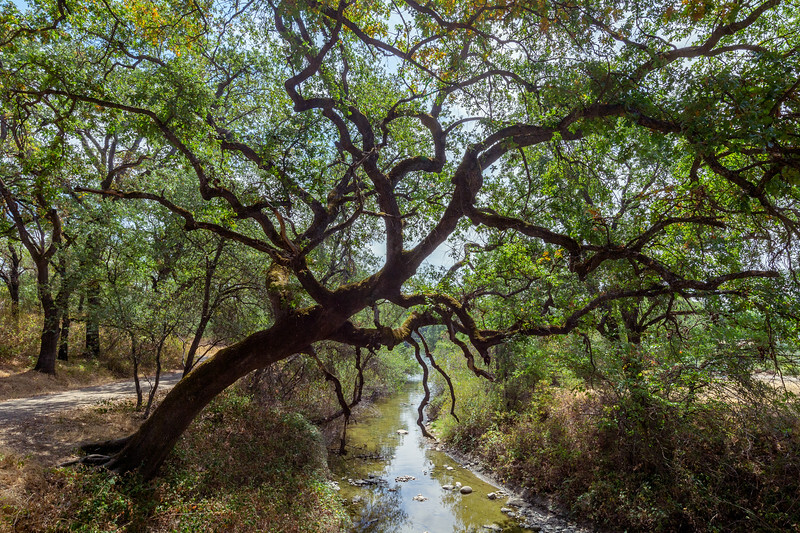 Big oak tree in Turtle Bay Park in Redding. Artsy! 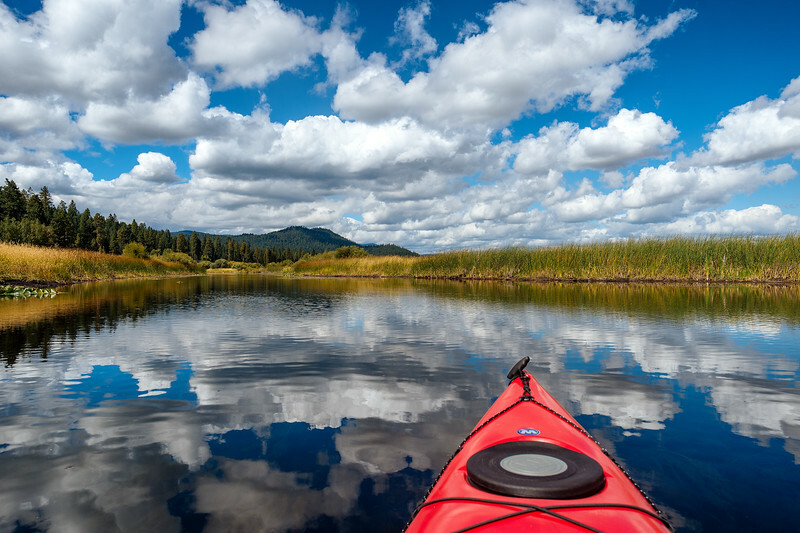 The excellent canoe trail at the Upper Klamath Lake National Wildlife Refuge. We used the Malone Springs put-in -- good for those with their own boats, btw. 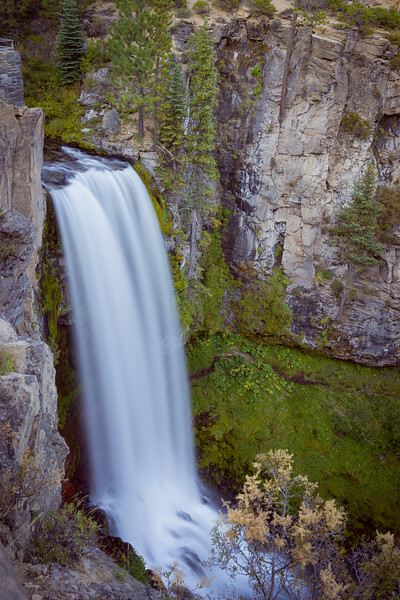 Tumalo Falls west of Bend. Not easy to find good angle from above. 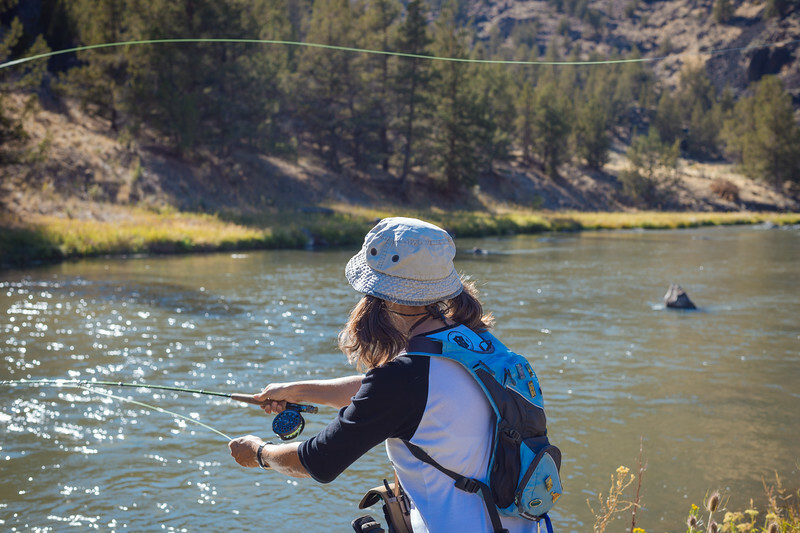 The domestic partner fly fishes the Crooked River south of Prineville. Beautiful canyon. 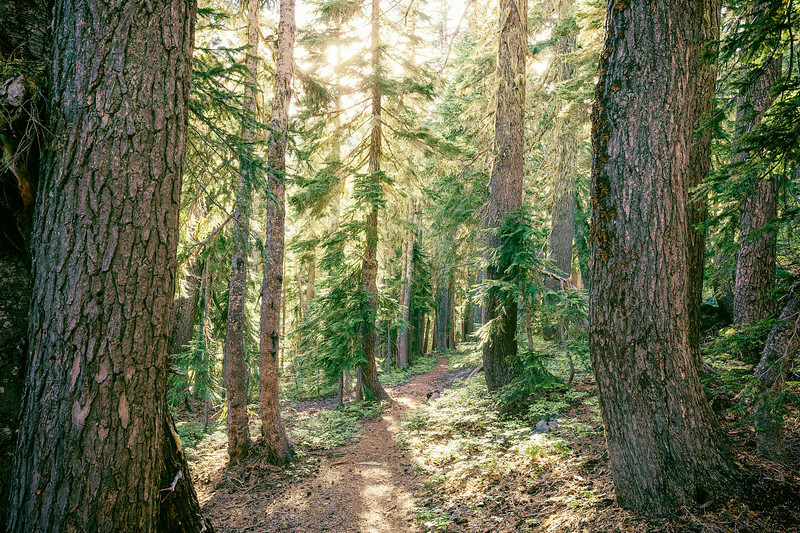 Trees, trees and more trees on the trail between Carl Lake and Junction Lake in the Mt. Jefferson Wilderness, north of Sisters. So many trees, I sort of get the urge to get a few of them outta there. 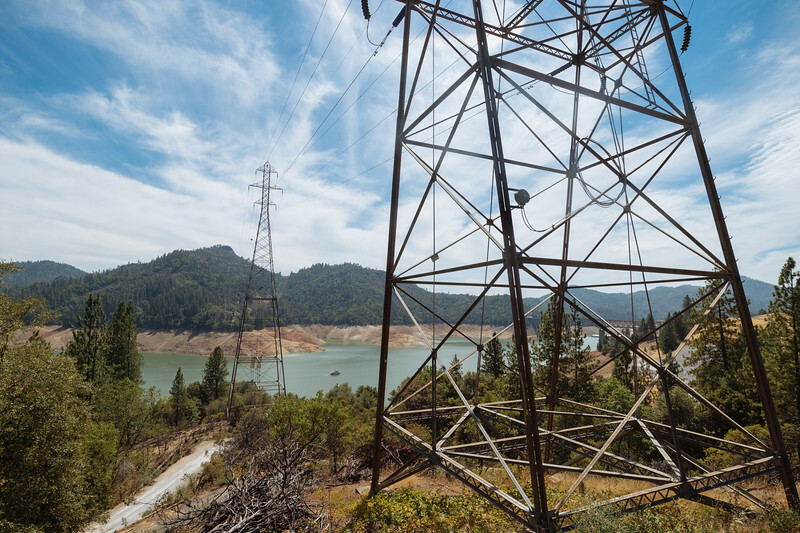 One from the drive up: Shasta Lake at 29 percent capacity on Aug. 29. It's now at 27 percent, owing to the ongoing drought. That's far below the usual average for this time of year. 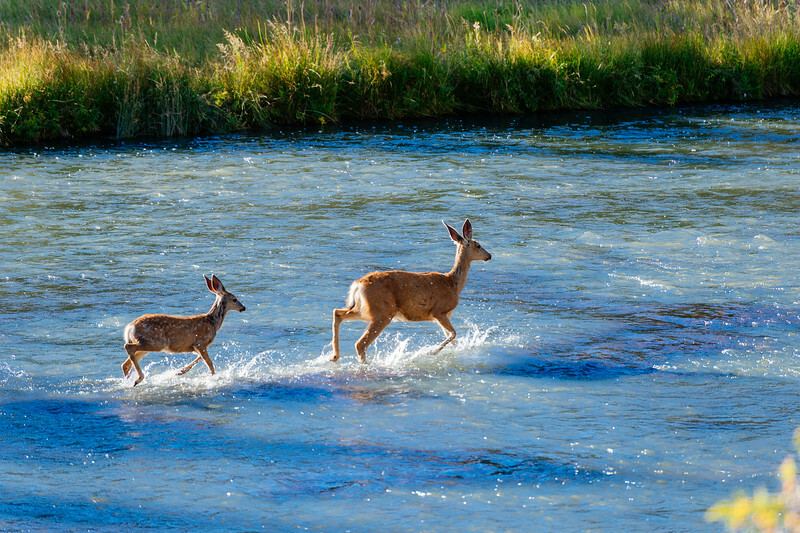 Mule deer crossing the Crooked River. 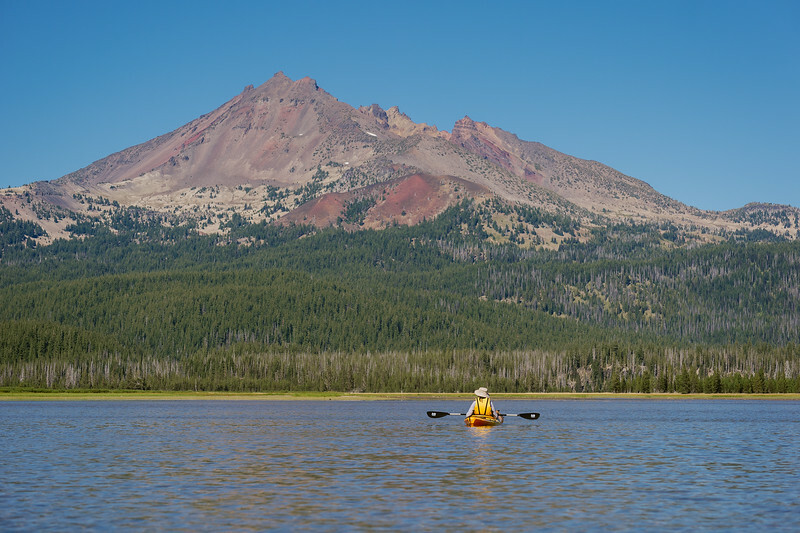 The view of Broken Top from Sparks Lake, near Bend. 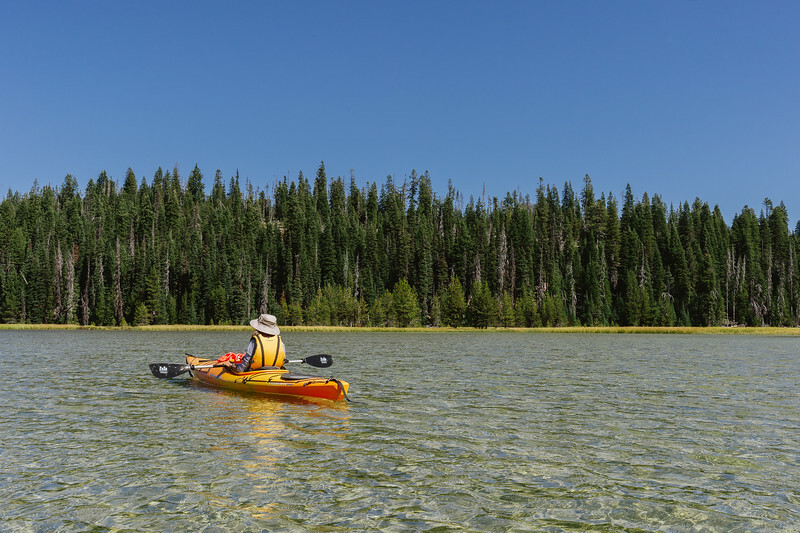 If you're in Bend and want to go kayaking on the lakes along the Century Loop, the best lake is Hosmer. Sparks is good and a bit more popular because it's closer to town. You need to bring your own kayak for Hosmer and Sparks. 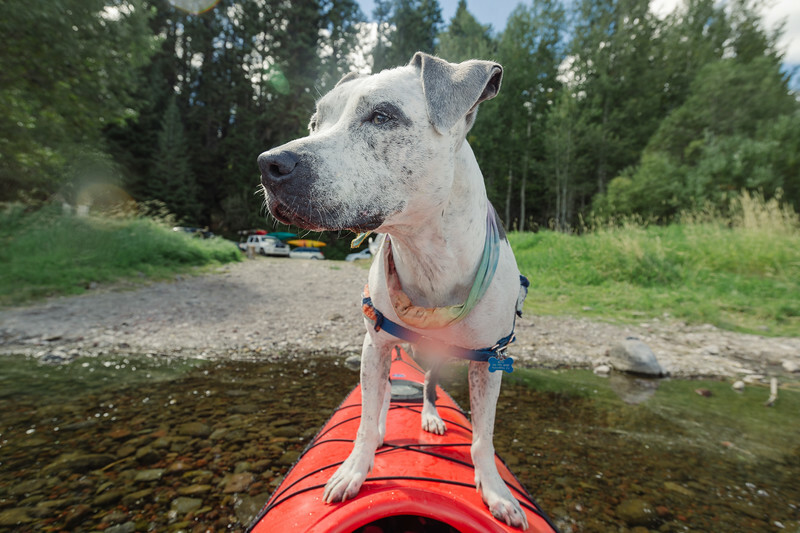 If you don't own one, visit Elk Lake -- the Elk Lake Resort rents them. 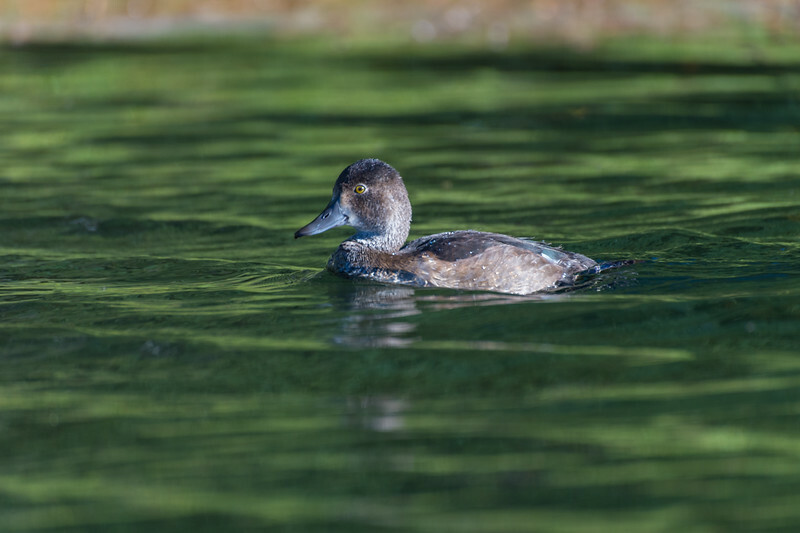 Duck on Hosmer Lake, near Bend. 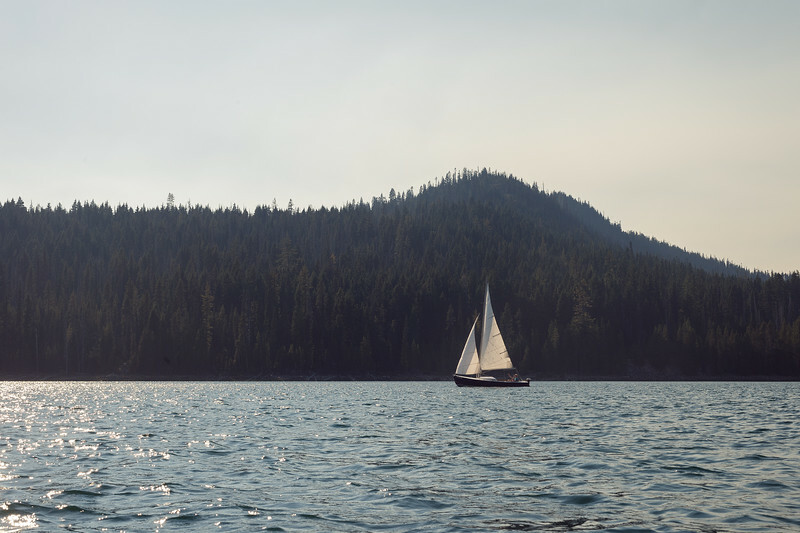 Sailboat on Elk Lake, near Bend. A very shallow section of Hosmer Lake near the inlet of Quinn Creek. If you visit, paddle up the creek a bit and check out the small waterfall. It's a nice place to picnic. Should never have let Blue the Dog watch "Captain Phillips" on cable. Now she thinks she's a Somalian pirate. Tiny brook trout caught and (of course) released in Tumalo Creek. 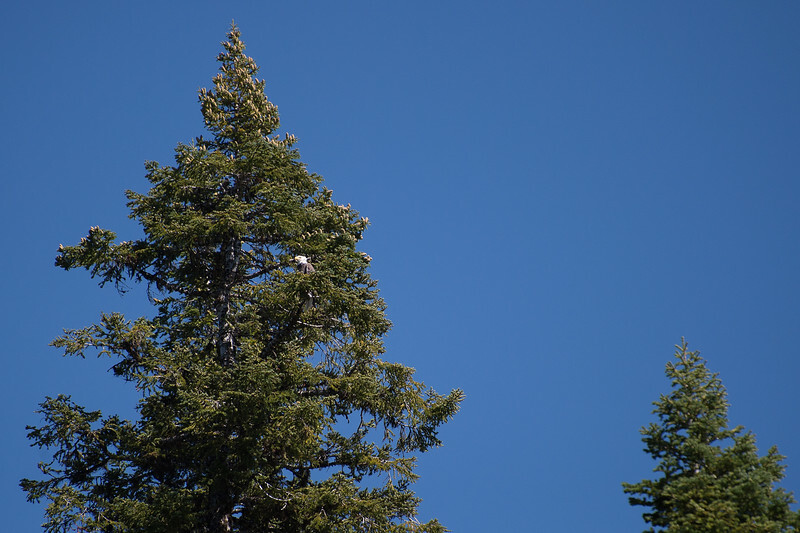 Big bird in a tree at Hosmer Lake. Click above to see larger version. This is why I would purchase a lens like this if I had 10,000 boxes of ziti sitting around (I don't). 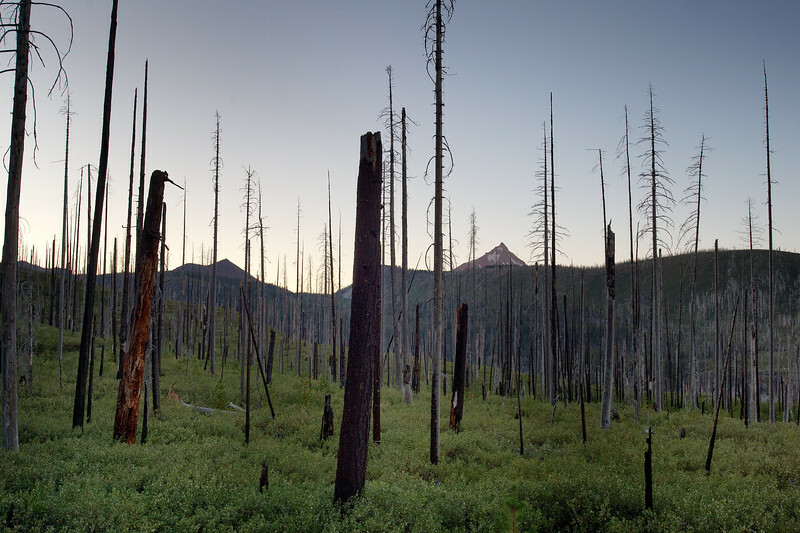 Scars from 2003's B&B Fires in the Mt. Jefferson Wilderness, northwest of Sisters. That's the top of Mt. Jeff peaking out in the background. A tasty Hammerhead beer at one of our favorite places in Bend. If you go, get the tater tots. I prefer the regular ones over the Cajun style. Pic taken with Hisptamatic on an iPhone. Bend is full of excellent microbreweries with pubs. I highly recommend McMenamins, 10 Barrel , Crux and Deschutes Brewery (they have the best beer IMO). The absolute best restaurant in town -- actually my favorite restaurant in the western United States -- is Jackson's Corner. If there for breakfast, get the biscuits and gravy. 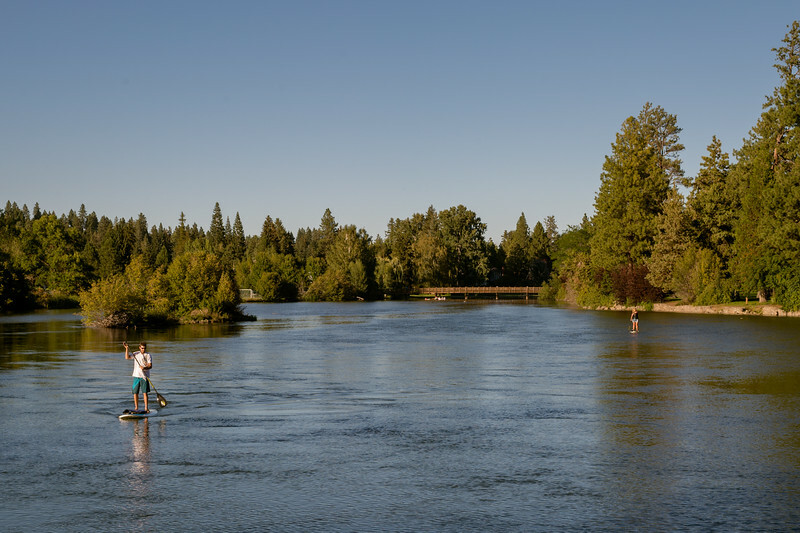 The Deschutes River in Bend. Lovely slice of river, even lovelier slice of park-land along side as it meanders toward downtown. 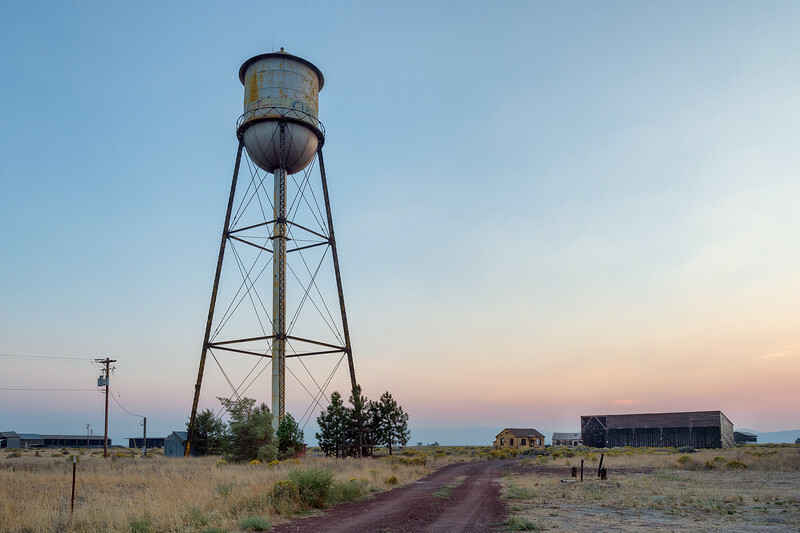 Old water tower and abandoned buildings in Dorris, California, just south of the Oregon border. The town if a bit run down and deserted -- but looks like it would be great to spend a day shooting with rural decay being the theme. I have a black-and-white version of this shot I'm currently pleased with (I generally don't remain pleased for long). 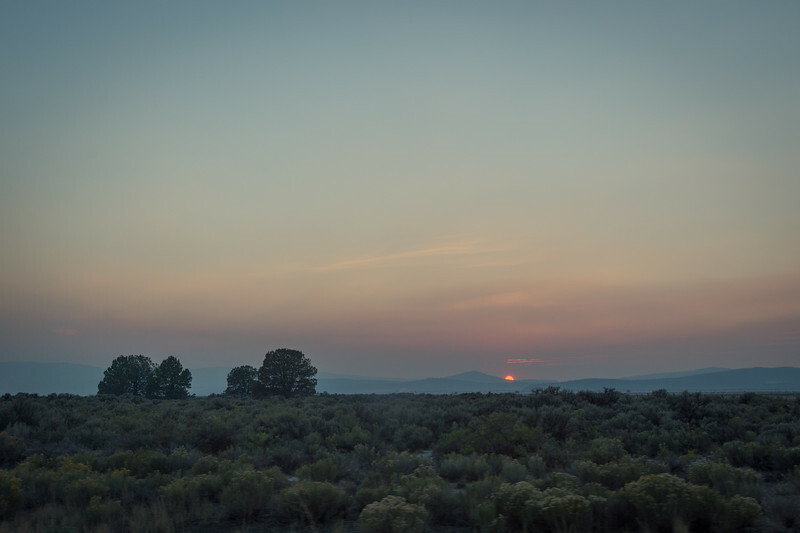 Snapshot outside car window along Highway 97 near the Oregon-Calif. border. Hosmer Lake and Mt. Bachelor. Another Hipstamatic/iPhone shot. Blue in Drake Park. Nice lens flare on the iPhone -- just angle that sucker's lens toward the sun. On the way home. 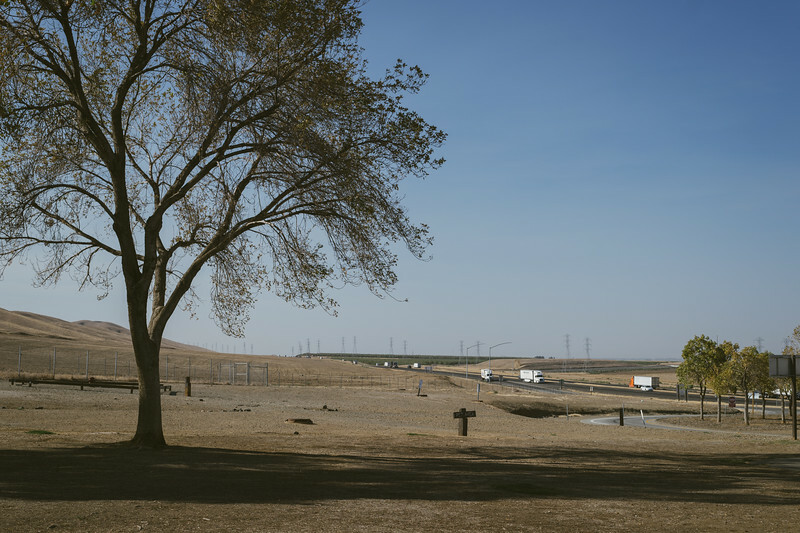 Your typical Interstate 5 rest stop in the San Joaquin Valley. Blech. 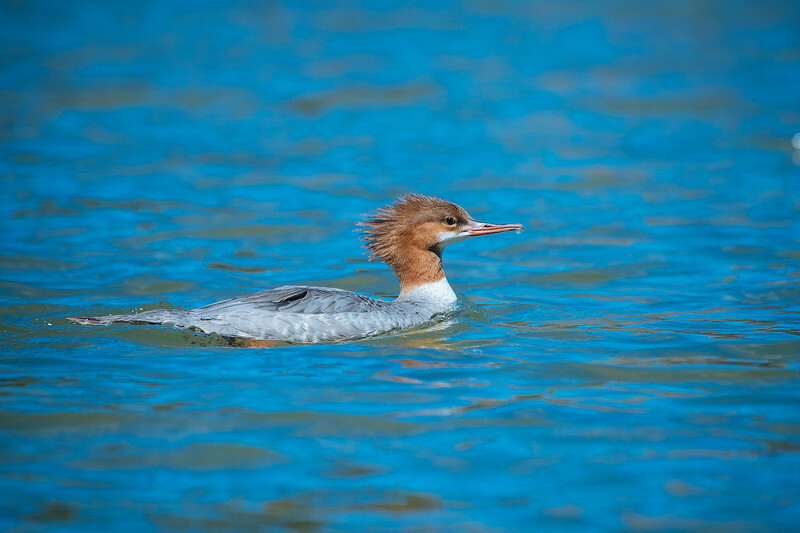 Please check out my main photo website, where you can purchase prints (cheap gifts) and/or license photos. The above photos are ©Steve Hymon and may not be used or reproduced elsewhere without my advance written permission. All rights reserved.